Dimensions 0.45 by 9.25 by 10.50 in. From rolling down a hill on skates without being able to stop to not being picked for a class team, this book offers an amusing look at the different things that children fear. By the illustrator of Bark, George. 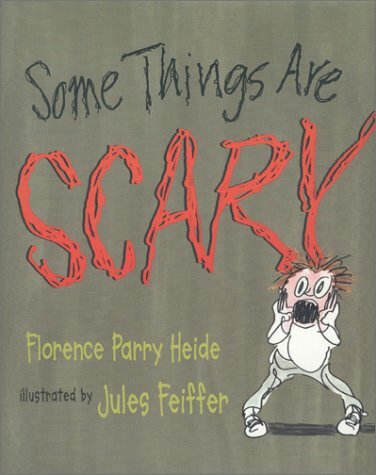 Amazon.com description: Product Description: From rolling down a hill on skates without being able to stop to not being picked for a class team, this book offers an amusing look at the different things that children fear. By the illustrator of Bark, George. About: Know someone who’s starting school? About: A list of scary things includes 'roller skating down hill when you haven't learned how to stop, getting hugged by somebody you don't like, and finding out your best friend has a best friend who isn't you.